CBD Capsules are a fast and easy way to digest cannabidiol. Manufacturers created these capsules so that they are as simple to consume as any other pill. You may be surprised to learn that there are different types of CBD capsule. The most common forms are CBD capsules that consist of oil mixed with an MCT such as coconut oil. As well as bulking up the capsule regarding size, the MCT oil helps the CBD work faster and more effectively. CBD oil isolate based capsules are also an option, but they are currently not mainstream. These products are typically mixed with inert powders to increase the volume of the capsule. This process is necessary since isolate is extremely pure and only a small amount is required to get a very high dosage. At the time of writing, these capsules are quite impossible to find, but they are becoming more popular as the price of isolate continues to fall. There are also water soluble CBD oil capsules. Again, these are new products with outstanding bioavailability, but you will pay a pretty penny for them at present. A great option for people on the go! A complex phytocannabinoid matrix containing cannabidiol (CBD) from agricultural hemp, our PlusCBD Oil™ Capsules are a convenient way to get your daily dose of CBD. Plus CBD oil contains a complex phytocannabinoid matrix featuring cannabidiol from agricultural hemp. 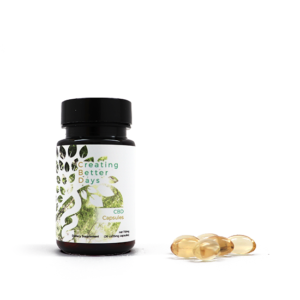 These capsules are a convenient way for regular CBD users to get their CBD every day. These easy to use soft gels ensure you get your daily dose of CBD. The oils are extracted using total plant CO2 extraction methods. Made with extra virgin olive oil, vegetarian soft gel (vegetable cellulose, water), silica. The Gold formula is the ultimate in refined oil, where excess plant material is distilled from our decarboxylated oil in a solvent free process, rendering the gold in color. The final oil is gold in color and comprises of CBD, minor cannabinoids, and plant derived fatty acids. Cannavest Gold formula it the highest concentrated form of CBD oil the Cannavest offers. Our full-spectrum hemp CBD-rich whole plant cannabinoid, lab tested for quality assurance, non-GMO, gluten-free, and vegan products is here for you. ECOCaps are your daily supplement of full-spectrum hemp cannabinoid that retains all of the terpenes, cannabinoids, vitamins, lipids, nutrients, and compounds without using pesticides or using harsh chemical solvents. Our full-spectrum CBD-rich whole plant cannabinoid product is lab tested for quality assurance, non-GMO and gluten-free product that delivers you a raw hemp extract derived from our responsible CO2 supercritical extraction method and mixed with a fractionated coconut oil (C8 Capric Acid & C10 Caprylic Acid) to give you all that our European organically grown hemp has to offer.